It is an imported record shop where all rare albums from all over the world can be found. They have albums from Europe, South America, and Africa and the music lovers are in love with the shop. The Record Forum that was originally in the place but got shut down when the building was sold entered in Café B. in the form of shop in shop. 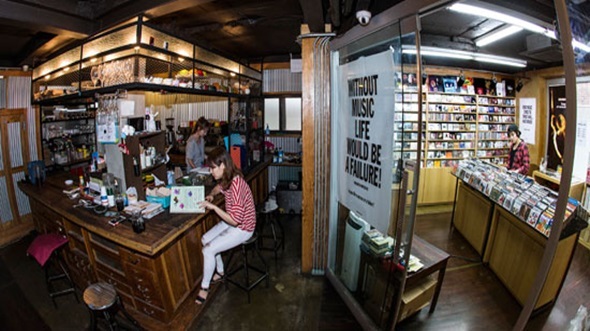 There is a record shop in the Design Square corner of Sangsang Madang, introducing popular albums in B.Shop, displaying records under a certain concept.